Lenovo has unveiled the P90 smartphone in CES 2015 event in Las Vegas . It is the world’s first smartphone to be powered by Intel’s latest 64-bit Atom processor. The phone makes use of a 1.8GHz quad-core Intel Z3560 CPU, which supports LTE-advanced connectivity. The smartphone can offer impressive download speeds of 150mb/sec, at least on paper. Also, the device packs in a blazing-fast PowerVR G6430 GPU for excellent gaming performance, and 2GB of RAM. With the latest-gen Intel chipset, the Lenovo P90 will not only satisfy the performance hungry users, but also will offer impressive data connectivity, letting users download HD movies in seconds. Here, we are taking a quick look on what else the new Lenovo Android machine has to offer. The Lenovo P90 flaunts a 5.5-inch full-HD display with 400ppi pixel density, which delivers sharp and crispy details while playing 3D games or watching moves. The device will ship with Android 4.4 KitKat, but is expected to receive Android 5.0 Lollipop update soon after the launch. Also, the phone is loaded with the company’s proprietary DOit suite of apps, which lets users share content easily. The Lenovo P90 looks simple, but has a sturdy build quality. The phone has soft-touch finish and squared edges, making it easier to operate the large screen using single hand. The device measures 150 x 77.4 x 8.5mm, weighs at 156 grams. It will be available in three colour variants – Pearl White, Lava Red, and Onyx Black. Lenovo has opted for offering excellent photography features with the P90. The smartphone sports a 13MP rear camera that is backed by optical image stabilisation and dual-LED flash. For selfies and video-calling shenanigans, it houses a 5MP front-facing shooter. Storage needs are taken care by 32GB of internal memory, but disappointingly the phone doesn’t include a microSD card slot to expand the space further. Besides supporting the latest Wi-Fi 802.11 b/g/n/ac with Intel’s LTE-advanced XMM 7260 modem, the Lenovo P90 offers Bluetooth 4.1 LE and 4G LTE for high-speed connectivity. Considering the higher consumption of data, Lenovo has loaded the P90 with an impressive 4,000mAh battery, which it claims to last for two days. Overall, the Lenovo P90 appears to be a promising device with a performance oriented processor, high-speed data connectivity, impressive camera features, and long-lasting battery. 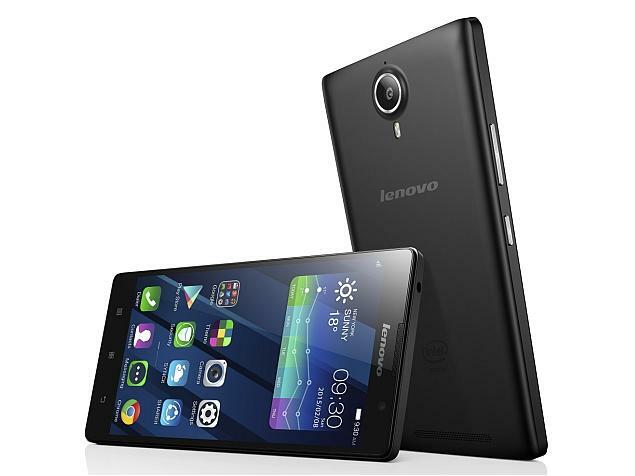 Reportedly, priced at $369 (around Rs 23,300) the Lenovo P90 is certainly a device to look for in its segment. It will be available in major markets starting February 2015. It’s worth mentioning that ASUS ZenFone 2, unveiled at CES 2015, is also powered by the same Intel chipset, but incorporates 4GB of RAM, making it the first phone to offer such specs. Previous: Google Maps for Android – How to share directions?